We are in the business of helping people. We know Hurricane Harvey has created disaster for many and increased concern and questions for others. We write with over 25 carriers, so we are able to help you find the policy that meets your personal needs. We even have a few carriers that still write 1% deductibles for wind/hail/hurricane. Let us give you a quote or schedule an appointment today! Click the link below to read the rest of our story and why Mark decided to get into the insurance business. 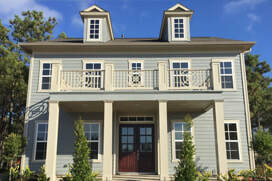 Want Better Deductibles on your Homeowner's? Many people are concerned about their deductibles for wind, hail, and hurricane.. we still have some carriers that will write a 1% deductible for those perils.. let us give you a quote! After Hurricane Harvey, many residents are looking for flood insurance. It's not as expensive as you may think! 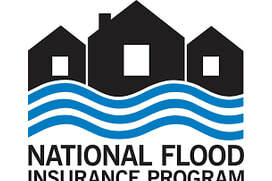 We can quote through the National Flood Program and also Private Flood. Plus, if we save you $ on your home and auto insurance, that difference just might cover the cost of a flood policy or more! Our insurance agency is proud to serve Spring, The Woodlands and the surrounding Texas communities by protecting the people we work with just like we protect our own family members. If you're not thrilled with your current insurance contact us today.